Your pet is the only Valentine you need this year! 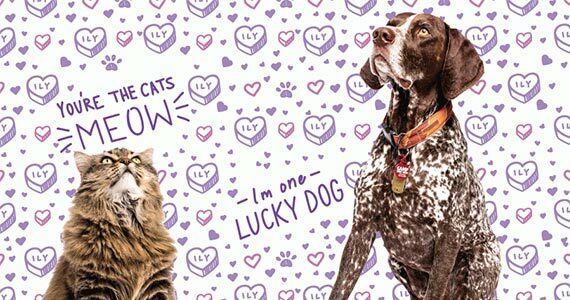 Right now I and Love and You is giving you the chance to grab a Valentine card with your pets photo on it. Click through to fill out the form and upload your favorite pic together and keep an eye on your mailbox. This offer is only available while supplies last for a limited time only, so hurry!